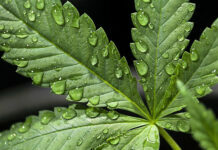 Although two neighboring communities have decided to “opt in” on medical marijuana licensing, Sterling Heights Mayor Michael Taylor and the rest of the City Council are in no hurry to get a new ordinance on the books. The city’s administrators and lawyers have studied state law and drafted some rules and regulations they think would be best for the second-largest community in Macomb County. “We don’t want to necessarily be the guinea pig. We want to see what works and what doesn’t work,” Taylor said. 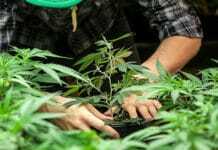 The Medical Marihuana Act law allows municipalities to “opt in” to set regulations and derive some tax revenue from businesses that grow pot for medicinal purposes, dispense it, or both. It created five types of licenses that communities can approve: growth operations, processing, provisioning centers also known as dispensaries, safety compliance and secure transport. Of Oakland County’s 61 communities, only Walled Lake, Ferndale, Hazel Park and Orion Township have voted to allow marijuana facilities. The city of Troy, Waterford and Commerce, Holly and Rose townships have enacted ordinances banning them. David Harns, spokesman for the state’s Department of Licensing and Regulatory Affairs, cites a “large learning curve” for the lengthy and detailed process leading to licensure as reason for the delay. But, he said, progress is being made and will continue. “This is all new to everyone…we’re doing the best we can to get through all applications, and we’ve been able to find our stride recently, to get through the process,” he said. According to Harns, the Medical Marihuana Licensing Board is expected to consider issuing licenses for approximately 24 pre-approved applications at its next meeting, July 12. The MMLB canceled its June meeting for a variety of reasons: one board member didn’t have enough time to prepare, another couldn’t attend. Also, the goal was to have applications ready for approval from each of the five categories, which is now the case, Harns explained. If any or all get the OK next month, they’ll be the first for Michigan. “I think we’re going to get a lot more,” Mayor James Fouts said Friday. Warren plans to limit the number of dispensaries to 10. The city may allow more than one type of license, called “stacking,” at a single location. The council voted 6-1 in April to override Fouts’ veto. “This proposed ordinance has the potential for serious and harmful consequences for our students, increasing the influence of the drug in the community, further normalizing marijuana use to our students, and increasing their access to and, potentially, their use of marijuana,” Chippewa Valley Superintendent Ron Roberts said in an e-mail Thursday to families in 16,300-student district. “If the ordinance is approved, these large-scale operations would need to be only 400 feet away from schools, playgrounds and childcare facilities. While these enterprises would be in Clinton Township, we are concerned that they will negatively affect our students in both Clinton and Macomb Townships. “While I am sensitive to persons that are ill and use medical marijuana, there are other means to secure it. Commercialized large-scale growing, processing and retail sales in the Township are not needed to provide access to medical marijuana,” Roberts said. When it became clear the issue of medical marijuana was not going away, Cannon decided that his stance against it needed more support than an opinion based on one’s youthful years in college. So, he set out to find out more. He created a committee of township officials to study the topic. Their findings, along with pleas from some in his community, changed his mind. “A number of people contacted me privately,” Cannon said. “I was surprised at the demographics,” Cannon said, adding the committee also got opinions from other seniors, law enforcers, school superintendents and township residents. “I only heard from one woman who opposed it,” he said. “I agree with (the opposition’s) stance on drugs,” Cannon said, but does not concur with their objections to medical marijuana. “Medical marijuana is here to stay,” he said. “By not opting in now is not a signal we’re opposed to it,” Taylor said. “The key thing is the election in November. That could change everything,” Fouts said. Of the communities that haven’t yet committed to opting in or opting out as a place where marijuana facilities will be permitted, many are taking a wait-and-see approach until voters decide about recreational use of marijuana in November, said attorney Barton Morris of the Royal Oak-based Cannabis Legal Group. “The closer we get to November, the closer many of them are saying ‘why not wait?’ ” Morris said. 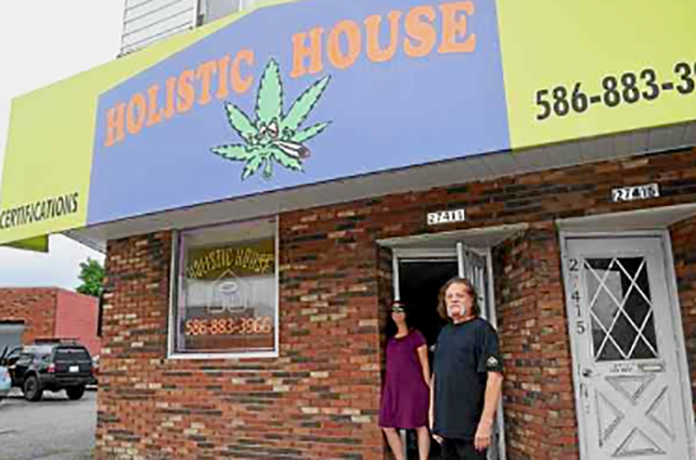 While just a few communities in Macomb and Oakland counties have given the thumbs-up to medical marijuana facilities, once they are in place it will be an improvement over what’s available locally to patients at this point, Morris added. That’s why many who are qualified medical marijuana patients get their products from dispensaries in Detroit, Morris said. Operators in that city who have applied for licenses are legit for now, but come Sept. 15 –- barring an extension –- those who haven’t obtained state licensing will likely be shut down. If that’s widespread throughout Detroit, it will have a major effect on medical marijuana patients in the suburbs, because they rely on those suppliers and have for years, Morris said. Licensing could take several months or more. “It’s going to happen, but it will take some time. In a few years, we will have a robust market in Michigan,” he said. “THC123 is an employment solutions company founded in 2017 to provide payroll, staffing, and compliance to the medical marijuana industry,” said Anthony Sabatella, president of THC123. Editor’s note: Readers will notice the divergent spellings of the word marijuana/marihuana in this report. Macomb Daily and Associated Press style calls for the word to be spelled marijuana while federal officials in 1898 adopted the alternate spelling of marihuana and that has continued with federal, state and local governments since though that spelling was dropped from regular use in American English in the 1960s.